Now I take it as a compliment that anyone would consider me cute! I was also taken back at how many of these searches landed on my blog on a daily basis, I can only assume fat girl fetishes are at an all time high!? I wonder what they thought when they reached my cooking blog, that I’d really love to know. From 1975 to 1979, the Khmer Rouge controlled Cambodia, systematically murdering 2.2 million Cambodians. Half lost their lives through brutal executions known today as The Killing Fields and the rest through forced labor, starvation and disease. My parents escaped through mountains filled with land mines, traveling under the cloak of night with only one satchel half full of necessities and a few memories of their past life. 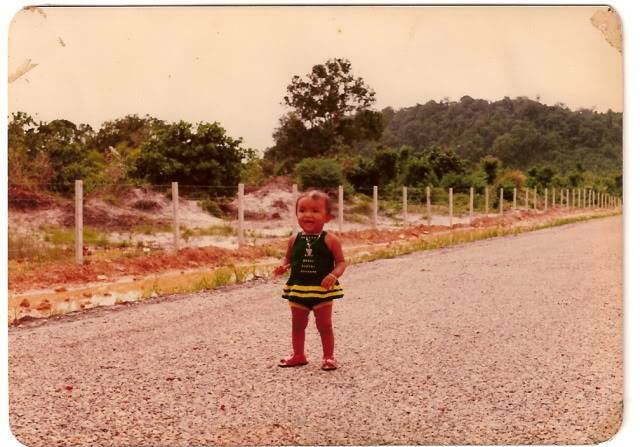 It took several months before they reached the safety of Kao I Dang, a refugee camp on the Thailand border where I was born 5 months later. 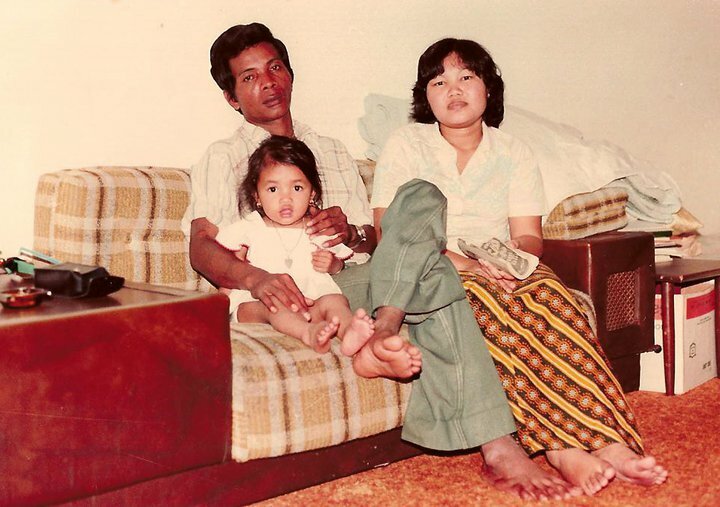 My father, an ex-Cambodian soldier, was able to secure our escape and at 1 ½ years old, my feet sunk into American soil on October 28, 1981. As a refugee I’ve since become a part of a newly named generation. The Half Generation, desperately trying to balance the old traditions of our newly immigrated parents with the westernization we faced on a daily basis. After years of searching for my happy medium I’ve finally learned to do it through food. Daily teachings from my mother on techniques, ingredients and flavors perfectly balance my growing addiction to hamburgers, chicken wings and French fries. This site will be a journey into the delicate balance of being both traditional and westernized, of loving beautifully stinky fermented fish paste along with grass-fed burgers on a brioche bun. Of writing down my mother’s recipes, my father’s stories, my identity and passing it along to our future generation so they may never forget the struggles their grandparents endured to bring our family to where we are now. My cooking style is Cambodian Californian. It’s using the root flavors of traditional Cambodian cuisine and pairing it with Californian style and cooking methods. Californian cuisine focuses on fresh locally sourced ingredients, utilizing all this beautiful state has to offer. I’m not formally trained but loving food needs no training; just a sense of adventure, a willingness to fail and the love of all things edible. Do not repost my contents without crediting me or this blog. Do not use my personal recipes, videos or pictures without my permission for public or monetary gain. Have common courtesy for intellectual properties. Show the love. Thanks you for liking my posts!!! AMEN TO BURGERS!!! and let me know the next time coleslaw wrestling is happening. LOL, will do, I’ll take bets! ooh.. really enjoyed reading about your family’s history… mine is not too different! i’m excited to meet other khmer american bloggers. looking forward to reading your posts and recipes! Thank you so much!! I’m always excited to meet other Khmer bloggers.. or bloggers in general! Hi Kristan! Wow that’s amazing! How is it living in the Cambodia? I haven’t had the pleasure of going there yet. Also what was it that you were missing? Hi there! I stubbled upon your page after googling “chicken soup khmer” and read your blog. We have a lot in common, age, race, birthplace, love for good food and my dad was also a former soldier etc. where in cali are you from? Hi Chantha! I’m sorry it took me so long to respond, I was in NYC! I’m in Oakland, what about you? Thank you for checking out my tiny blog!